Squickerwonkers. It’s a fabulous word that evokes something unusual, and that’s what this story is, unusual. 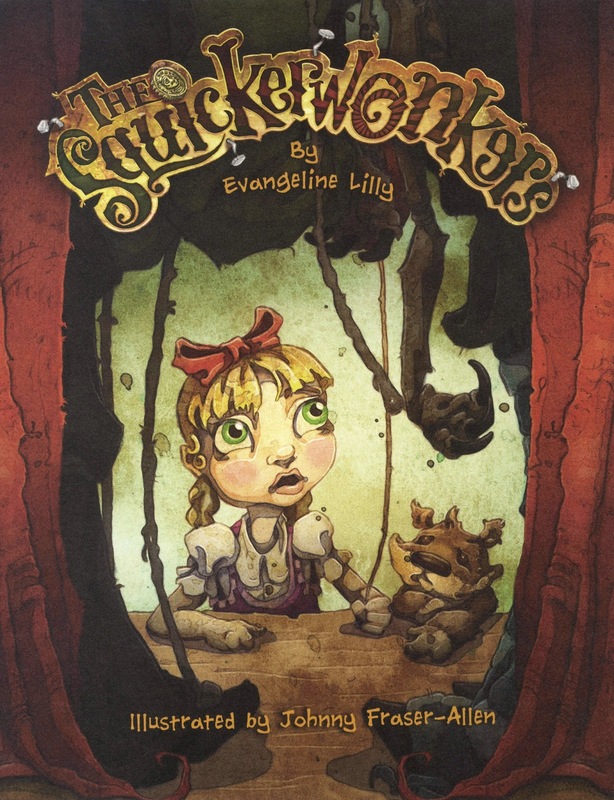 The Squickerwonkers is a cautionary tale, a story of tough love, playfully told in verse form by actress, and now author, Evangeline Lilly (Lost and The Hobbit trilogy). When a young girl named Selma explores an unusual fairground ride alone, she finds the mysterious Squickerwonkers inside. The Squickerwonkers are a troupe of marionettes, and each of them has a vice (pride, meanness, greed, gluttony and so on). Selma has one, too, but it’s not visible until she is challenged by the Squickerwonkers and puts on a temper tantrum of royal proportions. Be prepared for anything, because there’s a surprise waiting in the shadows, and it’s one that just might lead Selma to think twice about how she behaves. In keeping with the tradition of fairy tales, The Squickerwonkers comes with a rather dark undertone which makes it fun for kids, and adults, who are curious and like to be scared a bit. There is also an underlying message about forgiveness and acting responsibly. The story is visually brought to life through the artistry of Johnny Fraser-Allen who has a unique style, and whose film experience as a sculptor and conceptual designer has clearly influenced the slick, quirky illustrations. The Squickerwonkers has also been given a tick of approval by the award-winning director of The Hobbit and Lord of the Rings movies, Peter Jackson and his colleagues Fran Walsh and Philippa Boyens, who describe it in the foreword as original and full of magic. This is volume one in a planned series of stories, so be sure to look out for more books to come. You can also explore the world of the Squickerwonkers via the official Squickerwonkers website.